Thomas Moore is a fantastic blend of monk, Jungian psychologist, artist, and thinker. His work is challenging and paradigm-shifting. The Enneagram has impacted my life and my marriage as a tool for understanding personality and change in more ways than almost any other resource. As Rohr, Riso, and Hudson point out over and over, the Enneagram helps us embrace the strengths of our personalities and own the weaknesses of them. As a type 4 with a 3 wing, for example, I can enjoy artistically representing the emotional (and darker) side of life to the world, but I can also get caught up in that emotion, and the corresponding search for identity, in such a way that I’m paralyzed by it (and impossible to live with!). 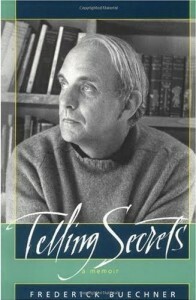 Buechner is one of my all-time favorite authors and his autobiographical trilogy is a tribute to the art of the memoir. Reading each of these short books was life-changing for me not only because of the content of each, but also because of the way they put on display a man grappling with how to properly pour out one's life story onto the page for others. By the way, my dog is named Frederich Buechner Bales. 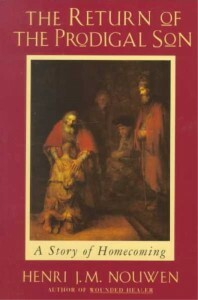 When I was 18 years old a college professor recommended Henri Nouwen’s Genesee Diary and I never looked back. And my copy of Nouwen’s The Return of the Prodigal Son is colored in coffee stains, ink, and tears. In counseling and in concert I find myself talking more about Manning’s concepts of being the beloved vs. being the imposter more than anything else. It’s hard to describe how much this man’s rugged belief in God’s love for us has shaped me. I also read Manning in the context of his own well known alcohol addiction and role as former Catholic Priest. A few years before I read Ruthless Trust, I heard Manning speak on the topic via crackling cassette tape. His passion could’ve been heard on vinyl. I love Anne’s humor, honesty, and faith. 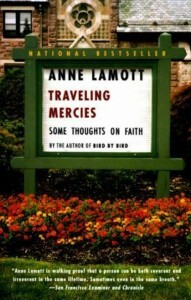 And I love how she pushes past my bible-belt upbringing to help me wrestle with stories of doubt and faith. Many Lewis books could be mentioned here but Lewis’ observations on his own process of grief are not to be missed. How lucky are we to have one of Christianity’s premier thinkers let us in on his emotional life at one of its darkest moments? One day my therapist handed me a faded photo-copied page from Mike Mason on the subject of sadness. This chapter alone is worth the price of Practicing the Presence of People, but there’s so much more. When Mindy and I were engaged we would read aloud together The Mystery of Marriage…well actually I would try to read it aloud but Mason’s words were so moving to me that I could barely finish a single page without crying. Mindy would have to take over from there. Mason’s observations on marriage are incredible. I recommend this book to each couple I counsel. I love the prayers and services of the BCP. When I was 18 or 19 years old, I visited an old Episcopal church in Chattanooga, TN. It was a Wednesday evening Eucharist. There may have been 4 people in the sanctuary, including the Priest. The other two attendees knew the service by heart. But I, on the other hand, had never heard the Nicene Creed until that very night. And I wept. I could barely get the words out through my tears because of the beauty, depth, reverence, and majesty of the Christian’s relationship with God, put on display by the prayers and liturgy of the BCP. Looking back, it was probably this first, formative, experience with the BCP that would lead to my own decision to pursue the priesthood in the Anglican Church. Older PostThe Lyrics, Stories, and Artwork for "Count The Stars"